Sure, it’s easy to download videos from YouTube, but doing it legally is another proposition. While there’s no law that specifically says you can’t download videos from YouTube for free, YouTube’s rules are very clear. If you want to download YouTube videos confident in the knowledge that you’re on the right side of the law, there’s just one way to do it: by signing up for YouTube Red. Among other benefits (including ad-free videos, original shows and unlimited music streaming), YouTube’s $10-a-month Red subscription service lets you save any YouTube video for offline viewing. A couple of key restrictions apply when it comes to “offline” YouTube viewing. For starters, you can download YouTube videos only by using the YouTube app for Android and iOS. No PC or Mac downloads are allowed. Saved YouTube videos will disappear after 30 days, and some videos may not be available for download at all depending on the decision of the content uploaders. Once your Red subscription expires, so will all your saved YouTube videos. 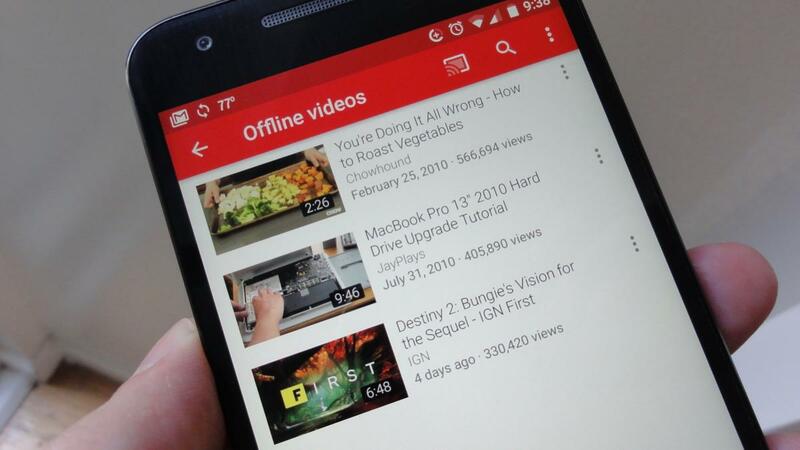 The “offline” videos you save using YouTube Red will (typically) expire after 30 days. While there are strings attached when it comes to downloading YouTube videos via YouTube Red, at least you’ll be able to do so without worrying that you’ve broken the law.